Select from over 30 Virginia dental plans and you’ll receive up to a 60% discount on your next visit to the dentist. You’ll get huge discounts on braces, bridges, crowns, dentures & more. There are now over 100,000 dentists and specialists in our provider network around the USA. The state of Virginia offers the public dental plans that are more cost effective than most dental insurance options. There are 10 dental insurance providers statewide. 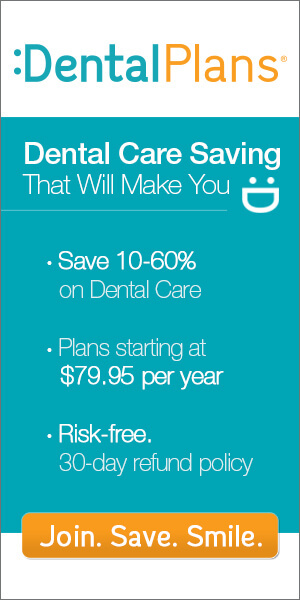 This contributes to keeping costs for oral care at a higher range than the dental plan alternative. Whether in Virginia or another state, differences between dental insurance and dental plans are basically the same. Dental insurance coverage requires payment of a monthly premium and contains clauses regarding such issues as deductibles, waiting periods, pre-existing conditions and other policy rules and regulations. Many dental insurance providers do not offer policies to individuals outside of an employer group benefit package. In addition, certain elective procedures may not be covered. When selecting a Virginia Dental Plan, new members will be required to pay the membership fee paid in full upon joining. The basic application and membership fee payment can be completed online. Given the speed of electronic transactions, upon receipt of the application and membership fee, instructions are provided for printing a dental plan card which can be activated in 3 business days. The difference between how dental insurance and dental plans operate is consistent anywhere purchased. Dental insurance providers are bound by specific guidelines which must be strictly adhered to. Claims forms, which must include information and signature of the dental care provider, can take up to 90 days before the dentist receives payment for services rendered. Oppositely, Virginia Dental Plans require total payment of the membership fee upon joining. There is no monthly premium and no waiting period before discounts can be used within the network of dentists participating in the plan.